The Limousin region of south-west France is hugely popular with property seekers from the UK. This may be as a result of its having featured frequently in property programmes such as A Place in the Sun, Grand Designs and No Going Back (Most Popular TV Programmes about French Property). These TV shows highlighted the attractions of the region, which is noted for its lovely green countryside, its many lakes, its great fishing and its cheap property. And, the region is the least populated in mainland France. Only Corsica has more space per head of populace. The Limousin has only 740,743 inhabitants on an area of around 17,000 sq km. This gives it a tranquil, rural feeling, and makes it a great escape from overcrowded Britain. 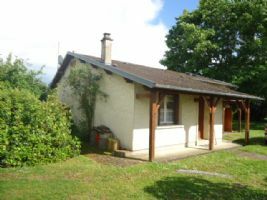 In spite of its attraction for property seekers, the Limousin retains its reputation for offering excellent value properties. And in 2018, many properties are being reduced in price to sell quickly. This makes Limousin property even more attractive. 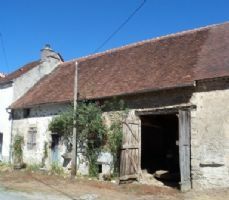 Not only is property in the region around the cheapest in France, there is also a lot of cheap renovation property (House Renovations in France). This offers you the chance to improve a property and make a real profit when you sell. Or, to own a super home for less cash! It's also probably the best place in the country to find a property with a fishing lake (French Properties with Lakes). There are many wonderful leisure lakes in the region too, making it a perfect place for activity loving families. So many lakes, in fact, that the Limousin is known as "The land of a thousand lakes"! The fact that the Limousin has a sparse population means that the houses that exist there often have much more space around them than in other, more densely populated regions. Many properties have their own land, ranging from large gardens for relaxing in to vast spreads of farmland. 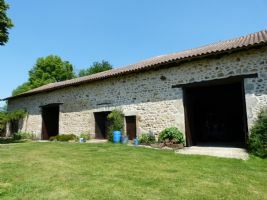 The region is perfect for those who want to keep horses (Horses in France), for example, as landed properties are comparatively cheap. 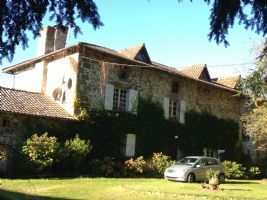 The Limousin has lots of cheap property, but it also has some stunning luxury and character properties. Some years ago, the Limousin was not so popular with house hunters from the UK, as it was difficult to access. These days, though, with budget airlines like Ryanair and the extending of the TGV rail network, it's easy to reach. Limoges, the capital city, has both an airport and a TGV station. There is also an airport south of Brive la Gaillarde, with direct flights to/from the UK. Poitiers in Poitou-Charentes is an option too, with an airport and TGV station. If you're driving to the region, the excellent auto route system will get you there in just four hours from Paris. It's about 390 kilometres. Driving from Calais will take about six hours. The Limousin could be just the French region to fall in love with in 2018. Whoever you are, and whatever you're looking for, everyone loves a bargain. So we've pulled together a list of ten of the best properties currently on the market. 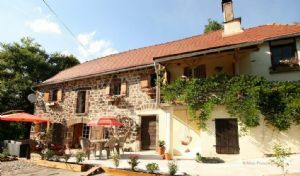 Fall in love with a property in the Limousin today. 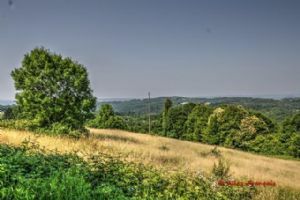 Fabulous land of 7,870m² with stunning views towards the south west, in a quiet hamlet just 5 minutes from Beaulieu sur Dordogne. Approached via a quiet road, the land sits on a sloping parcel, giving really wonderful views towards the sunset. The owners had approved detailed plans for 2 dwellings, (CU now lapsed). The 1st house would be a 4 bed property 152m² SH in a Quercy style with a character pigeonnier, large lounge of over 45m² and 3 bath / shower rooms. 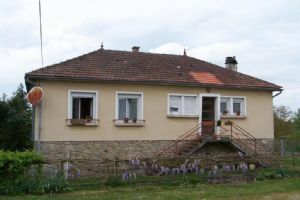 Close to the village of Saint Dizier Leyrenne, village house on full basement with a garden of 739m ². The house was built in the 60's and the living space is on a same level. This property is ideal for someone wanting quiet rural location with very large garage workshops for cars, motorbikes or material storage. The property is situated approx 10 mins from the town of Bellac on the very edge of a small hamlet with views over open fields to front and rear. Exclusive agency- at competitive price. Set back from a departmental road, and approached via a private drive, this really attractive character house has been renovated recently with taste and enthusiasm. Steps lead up to a covered porch where you enter the property into a large open plan lounge / dining room of 41m², with a magnificent Cantou fireplace. This room oozes character with wonderful exposed stone walls and wide floorboards. A magnificent mid 19th Century stone built former Maison Bourgeoisie comprising three separate houses set in beautiful gardens of nearly 7295m². This really is an outstanding character property set in private grounds offering all 19th Century original features, and the gardens, known as 'The Park' were completed by the initial owners in 1902 after substantial works. 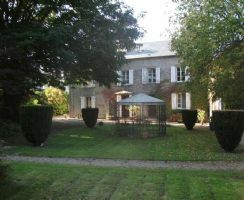 This is an impressive property, tucked away in a beautiful corner of rural France. The main house is ideal to use as a B&B, since there are a bedroom and bathroom downstairs, and 3 bedrooms with their own en suites upstairs. There are also a large conservatory, a lounge, kitchen and dining area. 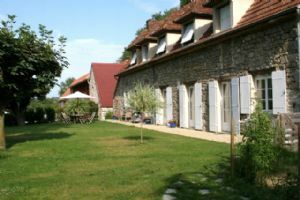 The gîte is attached to the main house, and comprises a big lounge with impressive fireplace and open plan kitchen downstairs and a large bedroom with en suite, and a lounge area upstairs. 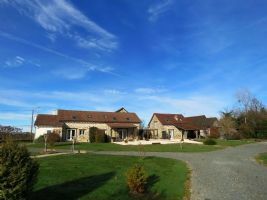 The property is situated in the wooded, rolling countryside of the Périgord-Limousin Natural Regional Park. Anyone looking for a peaceful environment will find it here stepping from the back door into the 34 acres of attached land which includes a 1.2 acre lake and a 2nd larger lake of 5.4 acres. The house dates from the 12th century and was originally owned by a wealthy nobleman. The current French owners have been resident for 4 generations. Now is the chance for this to be yours! Over the past 12 years, I have been lucky, honoured and privelidged to have worked with some of the worlds top equestrian people, visiting properties that most of us can only dream about, most at riduclous high prices, that certainly in my terms becomes monopoly money. Every so often I do come across something different, something special and unique, something that has the wow factor, and this property is one of those and at an affordable price. This former stud farm producing Selle Francais showjumping horses is now for sale offering peace and tranquility in an isolated spot, but within easy access of motorways. I remember this property from many years ago in its day as a stud farm, and with a price tag of double the asking price today.